An afternoon of historical fiction. Yesterday, I had the privilege of being on a panel of authors to talk about war and romance historical fiction. 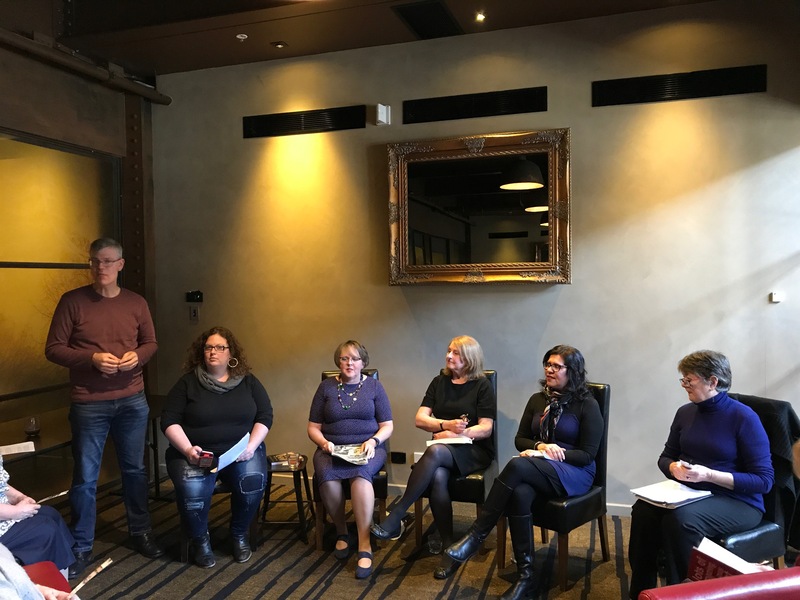 The afternoon, hosted by the Historical Novel Society of Australasia was attended by more than twenty people eager to talk and hear about this genre. Joining me were some illustrious names; Alison Stuart, Elise McCune, and Gabrielle Gardner, all fabulously talented writers. The panel was superbly chaired by Gabrielle Ryan, who herself is an accomplished writer. We discussed our books, our thoughts on genre, how and where romance fits in during wartime; and numerous other topics on and off the panel afterwards, over a cup of tea and a delectable array of sweet delicacies. I chatted about my forthcoming book, A Perfect Stone, set in the backdrop of the Greek Civil War when 38000 children were evacuated on foot over the mountains of Northern Greece. The whole event was skilfully pulled together by Chris Foley and Alison. It was a wonderful afternoon and for me a terrific experience to talk about my work, thanks to the Historical Novel Society of Australasia. Looking forward now to being a participant at the Conference in a couple of weeks. This entry was posted in Writing and tagged australian authors, books by women, historic fiction, Historical Novel Society of Australasia on August 21, 2017 by S.C. Karakaltsas. How fabuous. Not only that, I didn’t realise a dress code was applicable to the historical fiction society- black or purple mandantory?